Halloween as a festival celebrated in English-speaking countries is a great opportunity to introduce or remember some words and expressions. 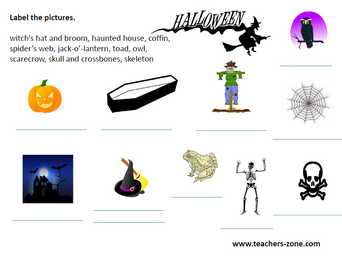 Here you can find Halloween traditions ready to present to your young students, vocabulary posters, printable worksheets and wall board inspiration. 1. 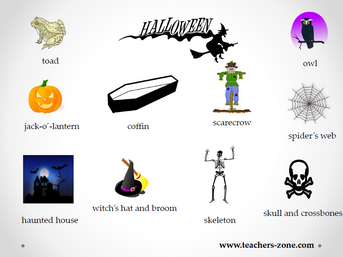 Halloween is celebrated in the USA, England, Ireland and many other countries on 31st October. 2. 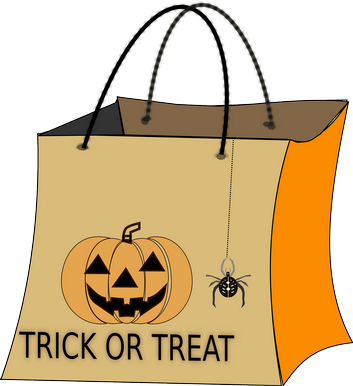 At Halloween children wear scary costumes and go from door to door 'trick or treating' to get some sweets. 3. 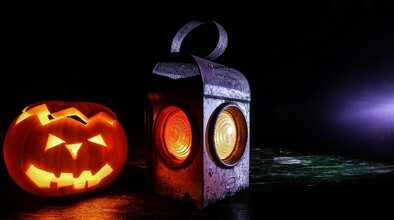 Children carve pumpkins to make special lamps called Jack-o'-Lanterns. 4. 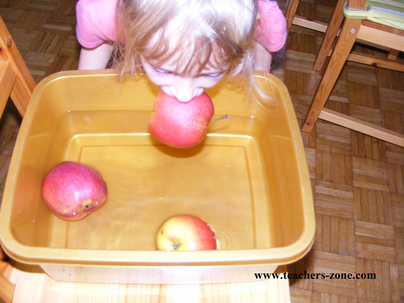 A popular game for Hallowen party is 'apple bobbing'. Children try and pick up an apple from the bowl of water with their teeth. 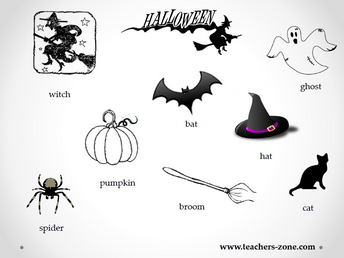 These two posters include basic and more challenging vocabulary for Halloween symbols. You can use the ideas for poster activities. 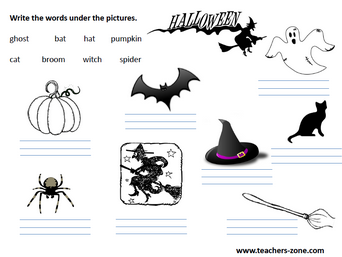 You can teach the new words and then practice them with printable worksheets. 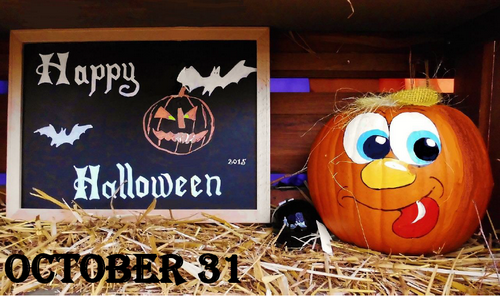 Ask your students to make Halloween decorations and display them on a school wall board.